We are celebrating a brand new era with new product innovation, new packaging, and now an amazing brand ambassador. Dubliner Simon Lamont is a passionate foodie, a zealous restaurant manager and classically-trained pastry chef. The Cathal Brugha Street alumni has worked in a number of top kitchens, 5 star hotels, award-winning restaurants and funky bars from Boston to London, via Capetown and Bordeaux. Simon’s ‘joie de vivre’ attitude and passion for food ensures that his cooking demonstrations are easy-to-follow, fun and zany. A chance encounter with a TV producer at a pop-up restaurant led to the filming of TV3’s hugely successful ‘Lazy Chef’ series in 2014. In the popular programme, Simon gave tips and tricks to make delicious and effortless food, all the while showcasing some of the best produce on offer across the country. Now London based, Simon has worked as a consultant for London’s Wright Brothers Oyster Group for the last four years. He proudly boasts that Wright Brothers Oyster Bar in Spitalfields was just voted Best Restaurant in Britain for Chef’s by the Observer Magazine. His latest project is overseeing the opening of an Oyster Bar in London’s ‘food mecca’ Borough Market called Shuck, serving the UK and Ireland’s tastiest oysters: Naked, Dressed or Blown (Blowtorched). Simon brings a passionate energy to the brand as well as a new twist in the use of the products. Simon has collaborated with us to develop a suite of exclusive recipes to showcase the quality and versatility of the Rudd’s range, inspiring consumers to consider new ways of incorporating pork into their everyday cooking. 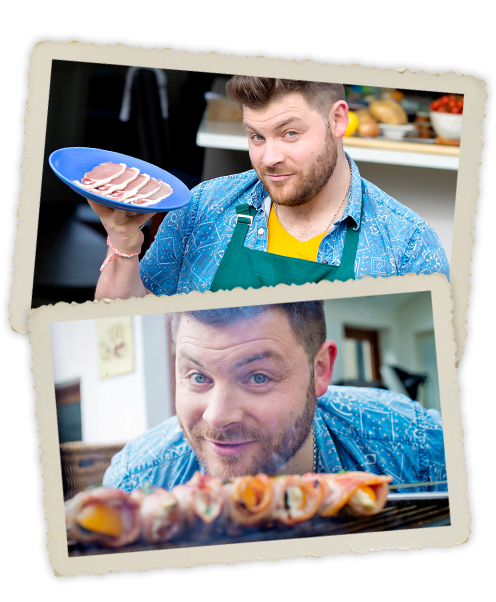 Check out Simon’s mouth-wateringly delicious recipes and videos here on the site, they’re Ruddstastic!